Buy Easter Toys and Spring Time Toys at Lowest Prices Online at TinToyArcade.com Find Pop Pop Boats, Bunnies and Bubbles and unique Springtime toys! 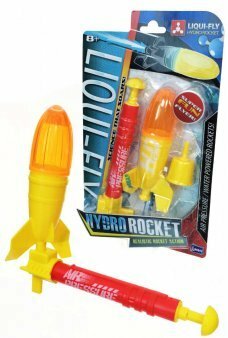 Explore the the power of the Rockets with our Water Rocket Science Set. 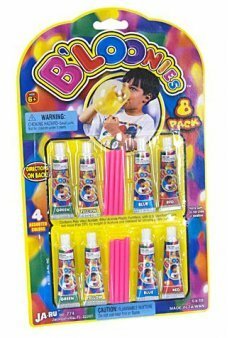 Our yellow rocket includes instructions and a po..
Do you remember blowing huge B’loonies? 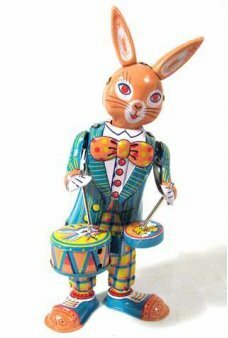 Just squeeze a ball of plastic goo from the tube and put it on the end of the bl..
Our collectible Drumming Happy Bunny rocks back and forth while beating his colorful drums. 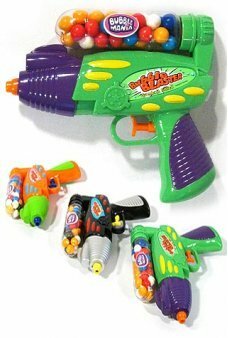 This high quality tin toy bu..
It’s three toys in one: a futuristic ray gun, a water gun, and a bubble gum toy. 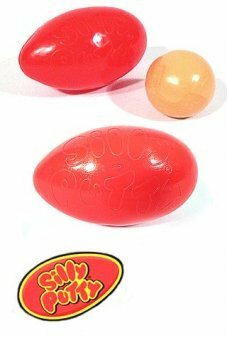 Our plastic Gumball Bubble Blaster incl..
It’s the classic Silly Putty egg with the “Real Solid Liquid Toy” inside! 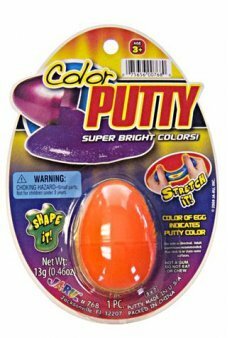 Silly Putty is the original accidental toy. 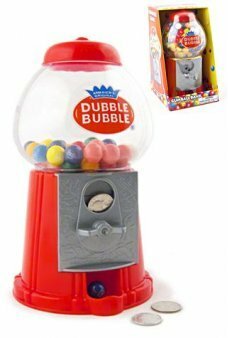 In..
Place a coin in our Classic Dubble Bubble machine, wind the knob and a Gumball rolls down and out, just like a real Gumb.. This charming green jack-in-the-box is certain to delight everyone who holds it in their hands. Turn the crank and the m..
Our proud Duck moves in a big circle while leaving a trail of light blue eggs! Our brightly colored, all-tin Duck Laying.. Mix the beakers of bubbles to discover fun colors! Create colors and then blow them into bubbles. Our Bubbles Science L..
You get 4 times more play putty in the Big Putty Egg! Our huge green Egg contains 50 grams of fun solid-liquid goo! 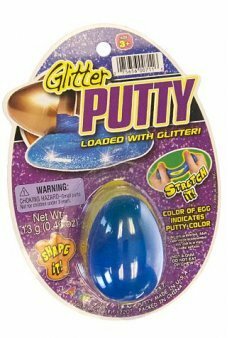 Open..
Our cute blue Egg contains glittery Play Putty - solid-liquid goo! 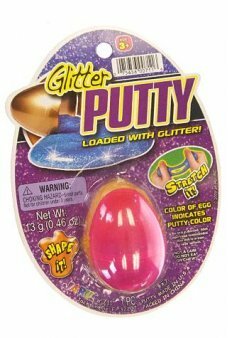 This glittery blue putty is loaded with shiny silver ..
Wind-up our cute Fuzzy Bunny and she hippity hops along. 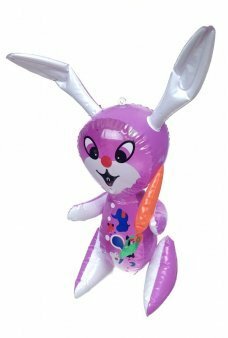 With her white, soft fur and black eyes, she is an adorable bun..
Blow a bunch of beautiful bubbles with our Multi Bubble Trumpet! Just dip the end of the horn into the included formula ..
Our cute happy chick has just cracked out of her egg! Our unique tin toy chick moves with Mystery Motion. 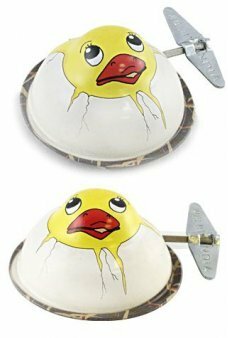 Just wind up o..
You get 4 times more play putty in the Big Putty Egg! Our huge orange Egg contains 50 grams of fun solid-liquid goo! 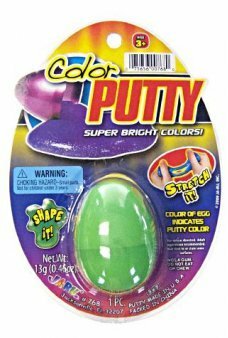 Ope..
You get 4 times more play putty in the Big Putty Egg! Our huge hot pink Egg contains 50 grams of fun solid-liquid goo! O..
Our adorable Pink Egg contains hot pink Play Putty. It’s glittery pink, solid-liquid goo! 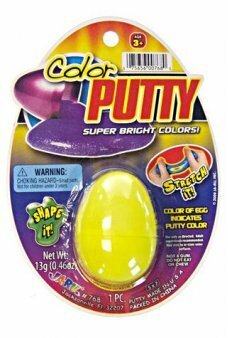 This play putty is loaded with..
You get 4 times more play putty in the Big Putty Egg! Our huge yellow Egg contains 50 grams of fun solid-liquid goo! Ope..
Open the Yellow Egg to shape, stretch and bounce this retro toy. 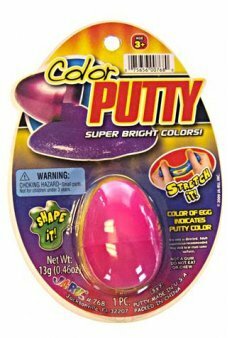 It’s bright yellow, solid-liquid goo in a resealable pl..
Open the Pink Egg to shape, stretch and bounce this retro toy. It’s hot pink, solid-liquid goo in a resealable plastic e..
Open the Orange Egg to shape, stretch and bounce this retro toy. 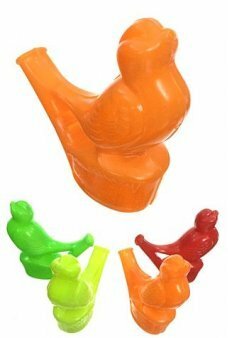 It’s bright orange, solid-liquid goo in a resealable pl..
Open the Green Egg to shape, stretch and bounce this retro toy. It’s bright green, solid-liquid goo in a resealable plas..
Our amazing Megan the Bunny munches on her carrot and then she hops away. She eats and hops over and over again. This co..
Water your flowers with Phillip the cute Frog! 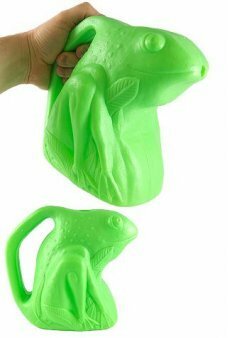 Our large, heavy duty plastic Froggy Pail holds 2 quarts of water. Grab..
Our spaceman water gun has a cool retro RayGun look. You can see the squirting mechanism inside of the clear green water..
Our classic Bird Whistle warbles and sings when you blow. Make amazing bird sounds! Just fill the base with ..
Our adorable purple Bunny Rabbit smiles while he holds a carrot. With his long ears this inflatable Easter Bunny is the ..
Our adorable blue Bunny Rabbit smiles while he holds a carrot. With his long ears this inflatable Easter Bunny is the or..
Our adorable pink Bunny Rabbit smiles while he holds a carrot. 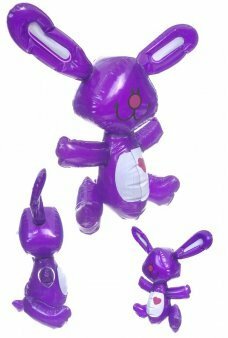 With his long ears this inflatable Easter Bunny is the or..
Our adorable purple Bunny smiles and holds out his arms for a hug. With a heart on his chest this lovable Rabbit is the ..